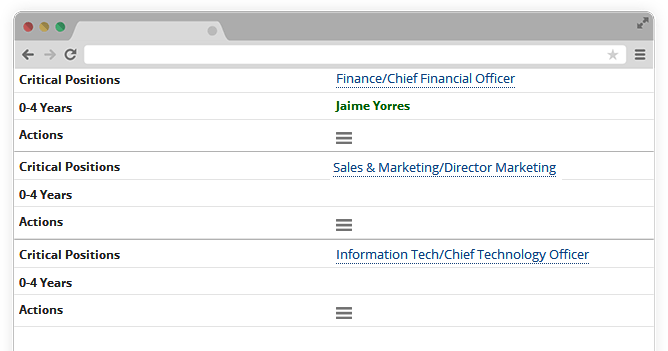 Identify and fill key positions in your organization in a well-planned manner. Empower potential employees by providing training opportunities and cross-functional exposure. From identifying key positions and their requirements to mining the talent pool, when it comes to succession planning, we offer you the ability to collaborate in a single, online workspace. Engage with leadership at various levels in your organization and help them develop future leaders and successors. Help them identify key positions and map them to employees with the requisite competencies, qualifications and experience profiles. Share the career plans with your top-performers. Build customized trainings and cross-functional exposure to not only build a sustainable talent pipeline but also retain the best employees. 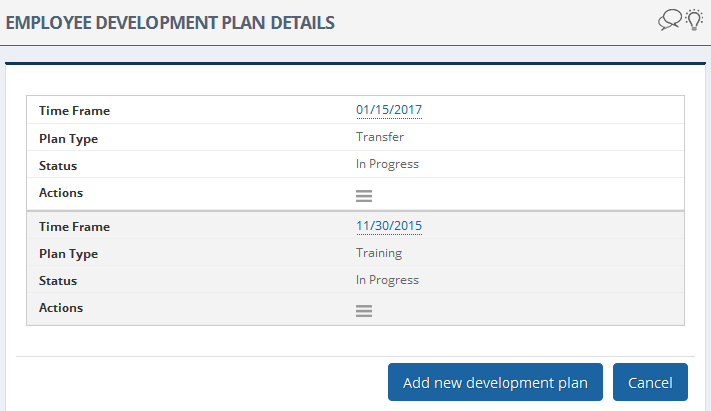 Allows management to create three succession plans for each key position viz. short-term, medium term and long-term. Maps employees to the succession plans with a milestone based development plan. Succession planning is based-on career profile, past job history, qualifications, achievements, personal goals, peer reviews and so many other factors. 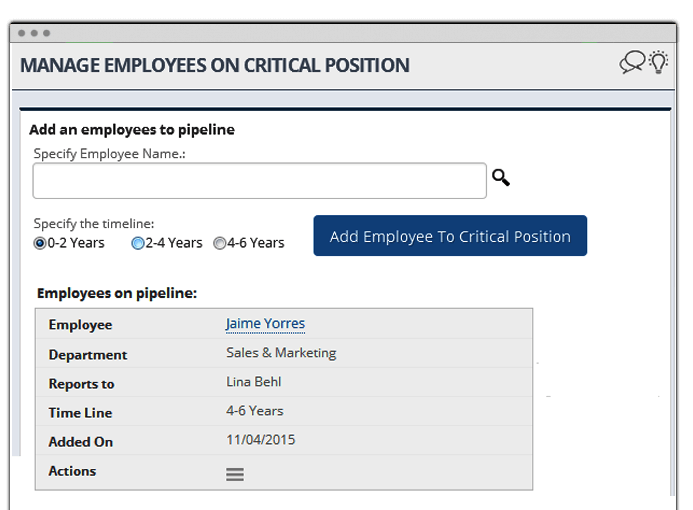 Integrate all to build a complete employee profile. Captures inputs on employee assessment centers and capture results. Involve leadership to identify critical positions, at-risk candidates, career and development plans. User friendly software with online help, self-training tutorials, and easy to use interface.Our teams are available 24 x 7. How To Identify, Develop & Retain your High Potential Employees (HIPO)?